Stylish and refined roadster coupe with folding hard top. Strong performance from six-cylinder engines. Much improved steering feel came as part of 2013 revamp. Top sDrive 35i 340PS engine is expensive. 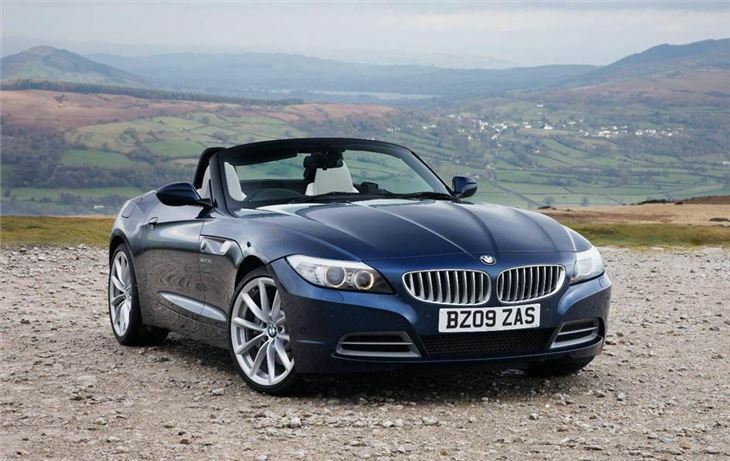 Indicator control switch of 2014 BMW Z4 failed and BMW dealer wanted £600 to fit a new one. 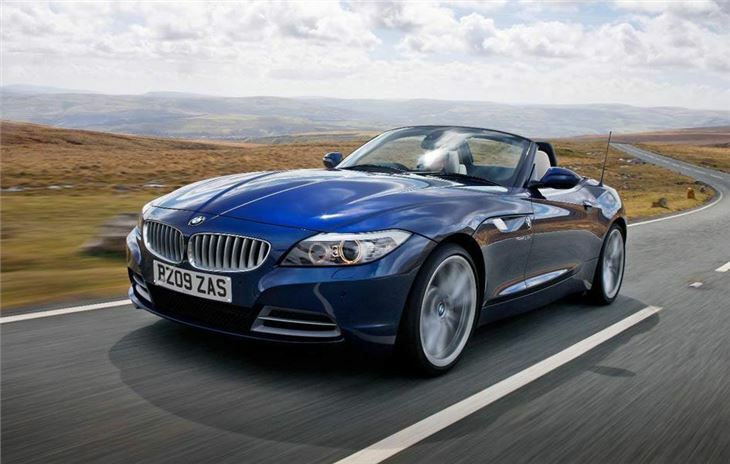 BMW’s second generation Z4 is a very different beast from the original. 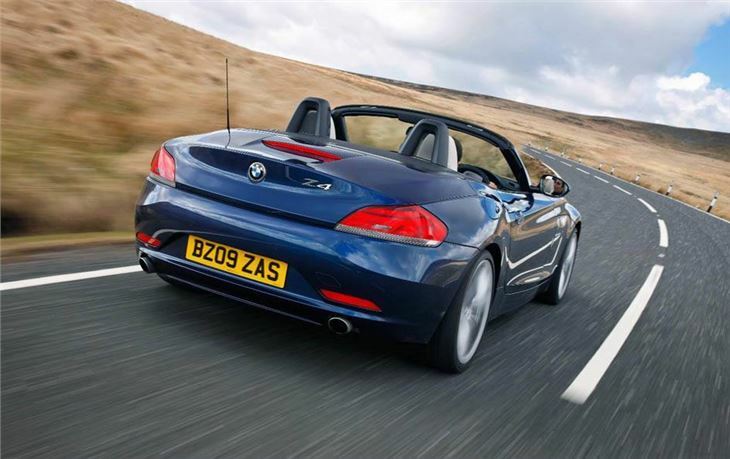 Where the first Z4 was very much a gruff, up and at ’em sports car, the current car is a more refined sportscar with a broader customer appeal. Much of the wider appeal comes from the folding metal roof, which follows the trend set by the Mercedes SLK. 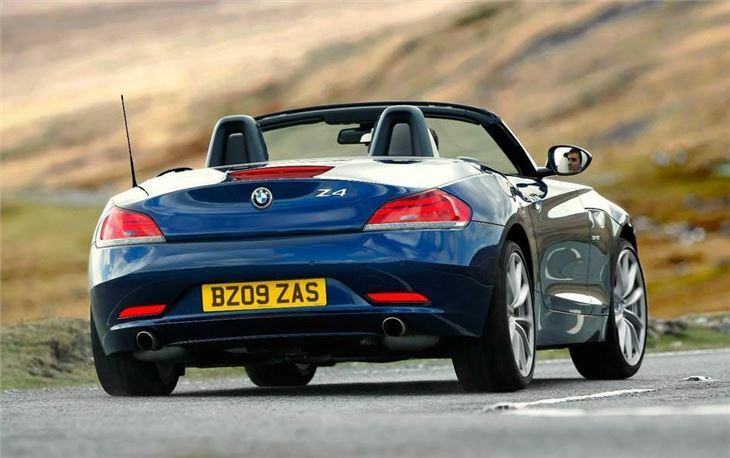 While some might feel the Z4 has gone soft and grown heavy with this approach, it undoubtedly means the Z4 is an easier car to live with day in, day out. 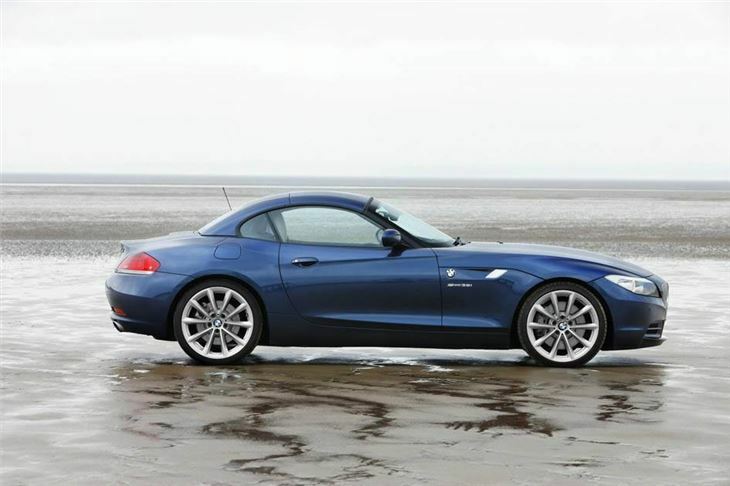 The metal roof makes the Z4 quieter at motorway speeds, so it is better suited to long distance journeys in the UK where the weather will not always play ball. When the sun does poke out, the metal roof drops more quickly than the Mercedes SLK’s and scissors away under the boot panel to leave uncluttered lines with the characteristic long bonnet, short boot looks of the previous Z4. A downside is the roof and its mechanism take up more space than a fabric hood, so the Z4 has to make do with a 180-litre boot. This means squashy bags are the order of the day for any sort of weekend away and access is not brilliant when the roof is lowered. 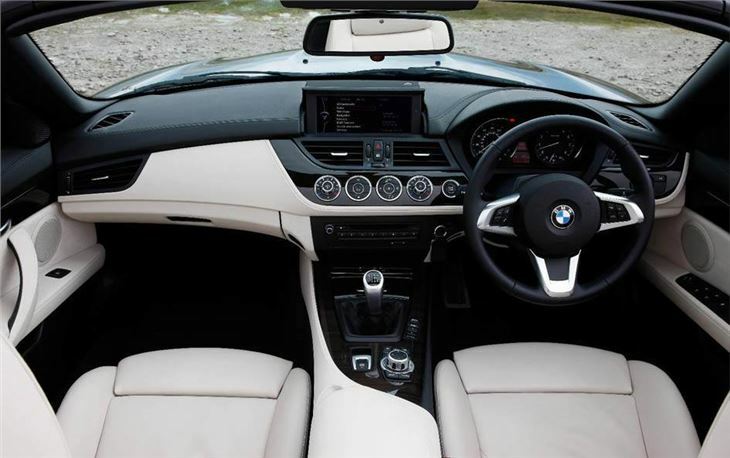 Still, the Z4’s cabin provides even taller drivers with plenty of space and seat adjustment, while the dash is one of the least fussy and stylish in this sector. 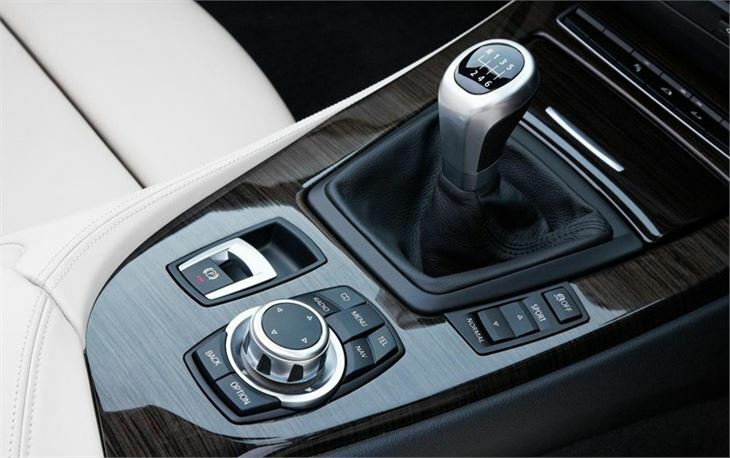 As well as the excellent driving position, cars with satellite navigation also benefit from BMW’s superb iDrive system that is also one of the easiest infotainment set-ups to operate. Just as good to use as the infotainment is the entertainment under the bonnet as all of the Z4’s engines are great to use. This includes the twin-turbo 2.0-litre petrol in the sDrive18i and 20i models. For those wanting more speed and growl, the sDrive28i takes the four-cylinder turbo engine to its maximum with 245PS or you can opt for the six-cylinder 35i with its potent 306PS. For those looking for the most performance from the Z4, the sDrive35is ups the ante to 340PS for 0-62mph in 4.8 seconds to be the spiritual successor the previous Z4M.